If you aren’t into paper anymore Beer Magazine has always had a digital solution for you. Our new digital format delivers the magazine in a new way. Just use the BUY IT NOW button and you download a full copy to your Mac or PC. Tablet users aren’t left out either. With each download you get a special custom link to view on your TABLET. Simply create a button on your IPAD or Tablet and you’ll be able to view the magazine on any tablet! You will need WIFI for tablet viewing. It’s just $5.99 an issue and all back issues will soon be offered in this format. The World’s greatest liquid all rolled into a Magazine! Beer Magazine is the one magazine for all people who like, love, or lust for beer. Beer Games to Brewing Beer it’s covered all in a style that’s unique and refreshing. 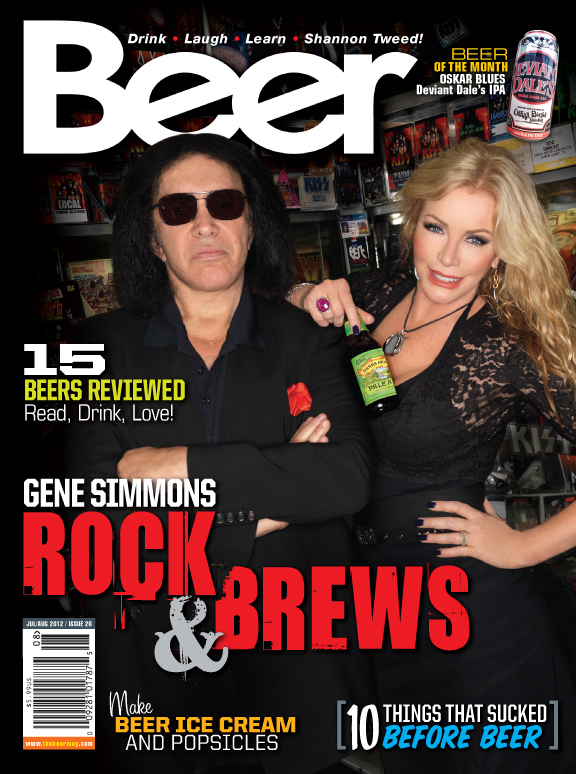 Rock & Brews- Gene Simmons comes to the Craft Beer World! Beer Kitchen – Orange Blossom Cream Ale Ice Cream! Beer Anatomy – What is a Collaboration Ale? Tons of pictures, words, humor and everything that is Beer Magazine.